The phrase “rules-based order” has become increasingly prominent in Australian foreign policy discourse. In the 2016 Defence White Paper “global rules-based order” was used 56 times. It argued that Australia’s security and prosperity is closely tied to the maintenance of the rules that have underpinned the post-World War II global order, and that these rules were being challenged. Which rules do we need to defend? The deployment of the phrase was – at least initially – targeted towards the activities of China in the South and East China Seas. It was part of a public diplomacy strategy to pressure China to conform to maritime rules, particularly following a 2016 arbitral tribunal decision that ruled heavily in favour of the Philippines. Contemporary disputes in the East Asian seas are highlighting the weaknesses of maritime law in maintaining maritime order. Yet, it is not often clear in public discussions which rules are being challenged. Part of the complexity is the presence of two parallel legal regimes relevant for maritime disputes. These tend to get used, abused and confused in foreign policy discourses and discussions. The first is United Nations Convention on the Law of the Sea (UNCLOS), encompassing three conferences in 1958, 1960 and 1982. Sometimes known as the ‘Constitution for the Oceans’, UNCLOS was developed to balance the rights of states to exploit marine resources with the need to maintain the seas as a res communis (a resource available to all) or, in other words, a global commons. Contiguous Zone 24 nm (overlaps territorial sea) Enforce laws on pollution, smuggling, taxation, customs and immigration. Sovereign rights under UNCLOS are determined by geography, as land generates maritime entitlements. UNCLOS provided incentives for states to extend the concept of sovereignty seawards, generating new disputes over overlapping jurisdictions and radically transforming and complicating boundary negotiations and entitlements. The second legal regime is sovereignty, sometimes referred to as the ‘Constitution of International Society’. Sovereignty is a foundational building block of the international community that determines land boundaries and territorial jurisdiction. Who is sovereign over land is based on rules of territorial acquisition. Methods under international law that states may use to have their territorial claims recognised include treaties, history (discovery, colonial borders) and effective occupation (lighthouses, flags, military installations and so forth). Sovereignty disputes can be very difficult to resolve. Sovereignty requires external recognition, and even though some states may have de facto control of a land formation, they may not possess de jure (or legal) recognition by other states. In the seas, islands and rocks may be subject to sovereign acquisition claims, but not reefs or low-lying elevations. Problematically, despite UNCLOS defining these features, there is sufficient vagueness to enable contests to flourish over how to classify different land formations in the seas. This matters for maritime entitlements: an island under UNCLOS may be entitled to a 12 nm territorial sea and a 200 nm Exclusive Economic Zone. But a rock is only entitled to a territorial sea. And other maritime features are not entitled to any maritime jurisdiction under UNCLOS. One of Australia’s core concerns in the South China Sea is the militarisation of artificial islands that are being built by states such as China and Vietnam. One of China’s strategies is to territorialise the seas through substantial artificial island building on low-lying reefs, even though UNCLOS is quite clear that these are not ‘islands’ for the purposes of determining maritime jurisdictions. By making these disputes about contested sovereignty claims, and sidelining UNCLOS, it is then hard for littoral Southeast Asian states – particularly Vietnam and Philippines – to access their marine entitlements under international law, especially oil and gas. Why does this matter for Australia? Australia has a stake in ensuring that UNCLOS continues to effectively govern the oceans and manage maritime disputes – its claim to 10 million square kilometres of EEZ is underwritten by UNCLOS. More generally, the South China Sea may be a litmus test for how rising powers may contest governance mechanisms in other non-sovereign spaces such as Antarctica or outer space. But the problem is not just that ‘might’ is trumping ‘right’ in the South China Seas. 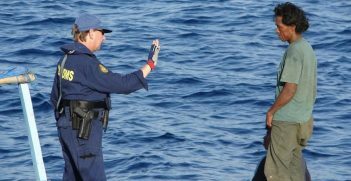 The issues of maritime territorialisation suggest a bigger problem within the ‘rules-based order’, given there are two relevant legal regimes that states can draw upon to justify their activities. If Australia is genuinely committed to defending maritime rules, then it needs more than rhetoric. After all, the only state that has been bought into line so far is Australia: the resolution of the Timor Sea boundary was partly a consequence of accusations against Australia that its stance was hypocritical. 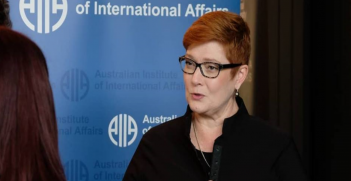 While Australia has operational presence in the South China Sea and in the air through Operation Gateway, it has been hesitant to participate in Freedom of Navigation Operations which directly challenge assertions that artificial islands can generate sovereign and maritime entitlements. New signals out of the US – for example in Vice-President Mike Pence’s recent speech – suggest Washington is considering pushing back harder against China’s activities in the seas. Perhaps this is the time for Australia to consider how it can better align its declaratory and operational policies. Dr Bec Strating is a lecturer in the Department of Politics and Philosophy at La Trobe University. She was awarded the prestigious Boyer Prize for best article published in the Australian Journal of International Affairs in 2017. 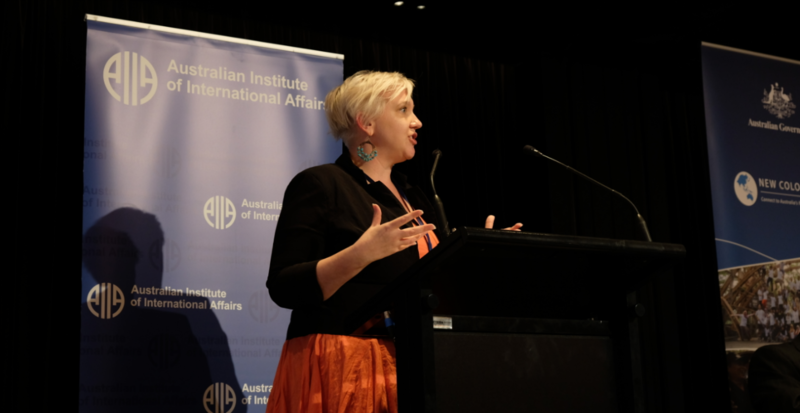 She was a speaker at the 2018 AIIA National Conference on 15 October. 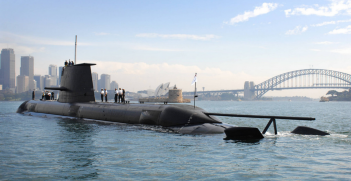 Australian policymakers need to consider what the country’s defence needs are without being driven by a desire for US approval nor the unrealistic fear of Asian invasion.